The Fourth Meeting of the Expert Group on Environment Statistics (EGES), organized by the United Nations Statistics Division (UNSD), will be held in from 3 to 5 May 2017 in Prague, Czech Republic. The meeting will be hosted by the Czech Statistical Office. The meeting will be attended by approximately 35 experts in environment statistics from countries and regional and international organizations. The Statistical Commission at its forty-fourth session in 2013 endorsed the revised Framework for the Development of Environment Statistics (FDES 2013) (https://unstats.un.org/unsd/environment/fdes.htm) as the framework for strengthening environment statistics programmes in countries and requested UNSD to convene a standing Expert Group on Environment Statistics to collaborate with UNSD to assist the Statistics Division in future methodological work and other aspects of the application of the revised Framework in countries. The fourth meeting will discuss, inter alia: (i) the draft methodology sheets of the Manual for the Basic Set of Environment Statistics; (ii) the implementation of the FDES 2013 and the reporting template to summarize the results of the Environment Statistics Self-Assessment Tool (ESSAT); (iii) environmentally-related Sustainable Development Goal (SDG) indicators; (iv) the regular biennial data collection in water and waste statistics via the UNSD/UNEP Questionnaire on Environment Statistics, as well as pilot testing in selected new areas; (v) best practices in environmentally-related censuses and surveys; and (vi) recent developments and plans in global work in climate change statistics and indicators. The United Nations Statistics Division is committed to the advancement of the global statistical system. We compile and disseminate global statistical information, develop standards and norms for statistical activities, and support countries' efforts to strengthen their national statistical systems. 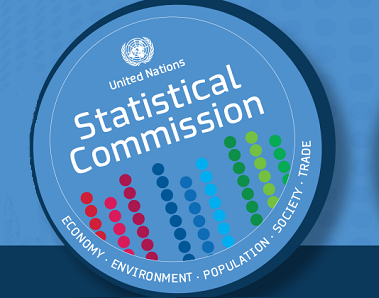 We facilitate the coordination of international statistical activities and support the functioning of the United Nations Statistical Commission as the apex entity of the global statistical system.